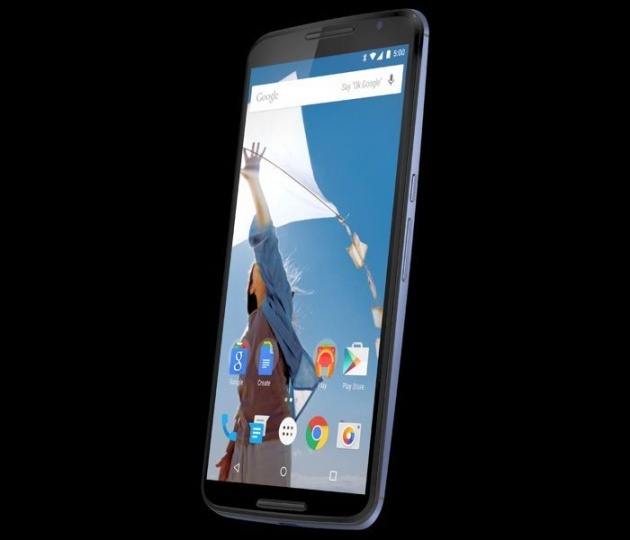 Google are expected to launch the Google Nexus 6 tomorrow, and now it looks like we have a press render of the new handset from Evan Blass (@evleaks). Evan retired from leaking devices back in August, he is well known for leaking a wide range of handsets, and he just posted the photo of the new Nexus 6, which you can see above. The Google Nexus 6 is rumored to launch tomorrow with the Google Nexus 9 tablet, and the handset will come with Android L or Android Lollipop. So far we know some of the specifications on the new Google Nexus 6, the device will feature a 5.92 inch display that will have a Quad HD resolution of 2560 x 1440 pixels. Processing on the Google Nexus 6 will come in the form of a quad core Qualcomm Snapdragon 805 processor clocked at 2.7GHz, the device will also come with 3GB of RAM, and it will feature front and rear facing cameras. The from camera on the Nexus 6 is said to be a 2 megapixel version, and the rear camera on the device is rumored to be a 13 megapixel camera, we should have more details on this new Android smartphone from Google tomorrow.